Philippe Briand and his team are dedicated followers of the America’s Cup, having been main designer in no fewer than six AC campaigns. In fact, he was among the first to start designing an AC75 concept from scratch and has completed a preliminary project. Now the French designer unveils the new 6.5m Flyacht concept, designed to be handled by a two-man crew with the possibility of ‘hiking’. It marries some of the best features of the multihulls, such as high speed and design innovation, with traditional monohull sailing. 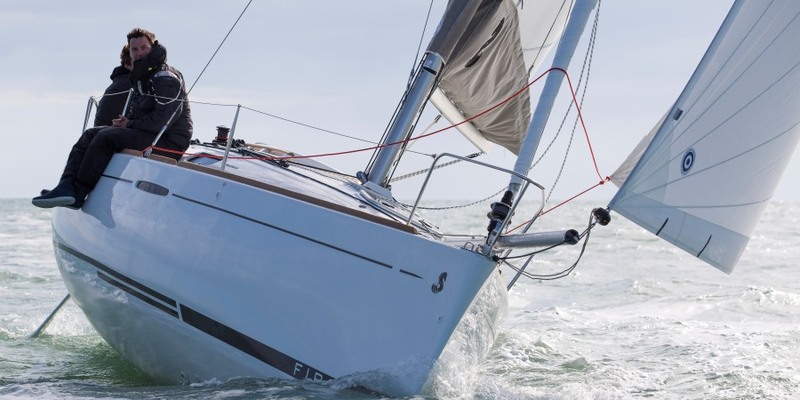 But instead of a keel, it has two canting, ballasted T-foils and the ability to self-right the boat in the event of a capsize. 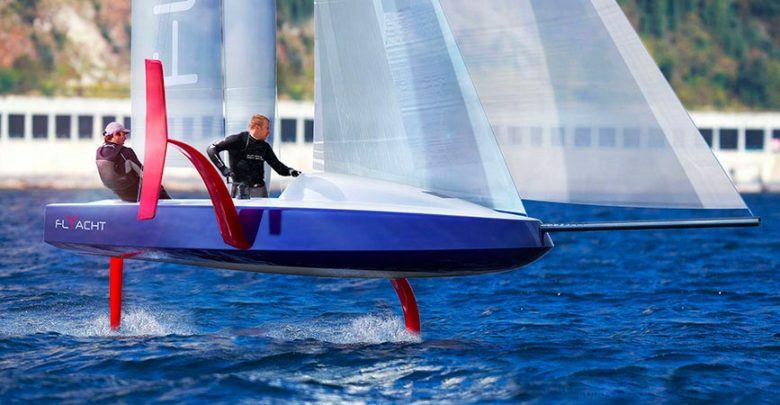 Like the catamarans, it will be able tack and gybe on the foils. It’s not only the America’s Cup that can benefit from the thrilling performance of these flying monohulls. As the new technology continues to develop and handling is fine-tuned, Briand and his team have recognised its potential over a range of sizes and budgets. 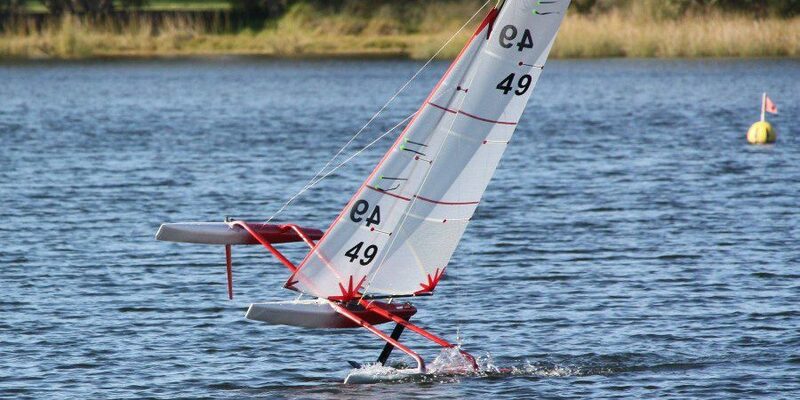 With the aim of offering fly sailing to a wider general market, they have scaled down the AC concept to 6.5 metres. 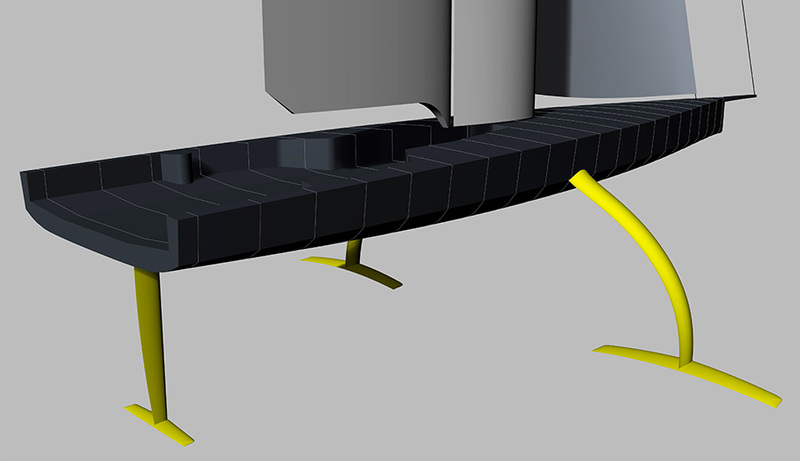 This is not as simple as sounds and required a full design study as the dimensions, surfaces, weight and lift had to be recalculated and the design re-engineered to suit the speed and loading of a hull of 6.5 metres in length. 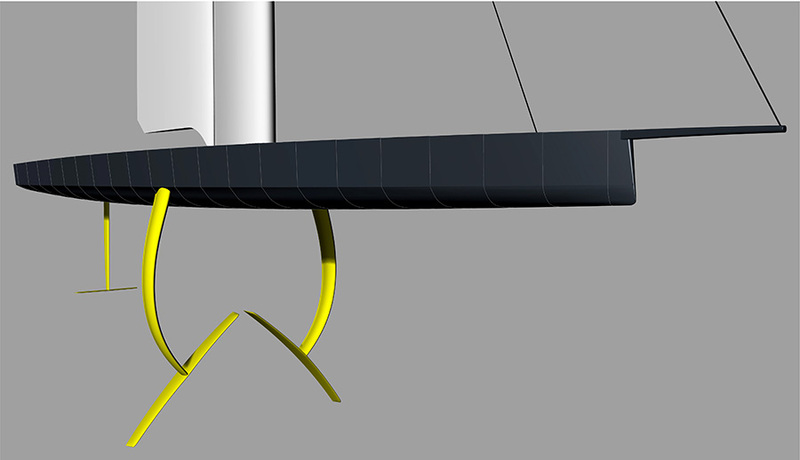 With a 90° righting moment, much like a Mini Transat, the Flyacht is designed to be handled by a two-man crew with the possibility of ‘hiking’ (moving the body weight as far to windward as possible to decrease heeling when sailing upwind) before take-off speed is reached in around 10 knots of true wind speed. 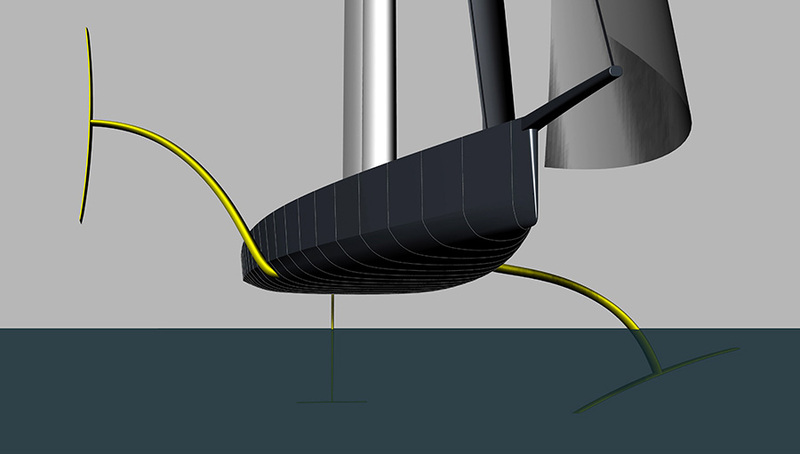 The rig consists of a soft wing with slab reefing for easy bag storage and in the interests of safety stability in fly mode would be self-monitored and automated, which is not permitted under the AC75 rules. Drawing on his experience, Philippe Briand is looking to create a low-budget project that could be built in series by a production shipyard. 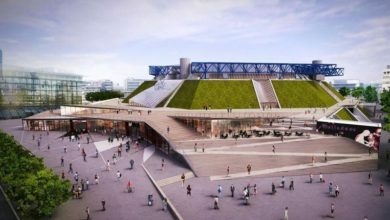 French Indoor 2016: are you ready to sail in front of 10,000 spectators? Looks amazing! Is there no video of it in action? Hi! No video at the moment! But stay tuned! PHOTO OF THE MONTH. 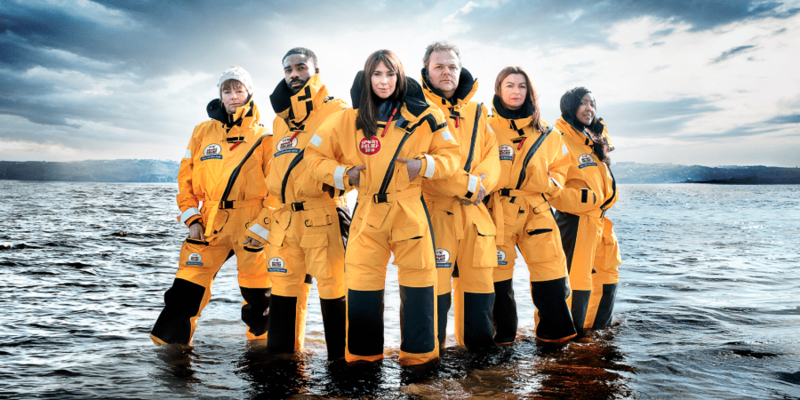 Are you able to sail in a glacier?